Barry Ace is an artist and curator from Manitoulin Island and holds a Master of Arts degree from Carleton University. He taught for two years in the Native Studies Program at Laurentian University in Sudbury and served as Chief Curator and Acting Chief of the Indian and Inuit Art Centres for the Department of Indian Affairs and Northern Development. As an artist, his multimedia work has been included in exhibitions in Canada and the US, and he has curated numerous exhibitions of Indian and Inuit art that have toured nationally and internationally. 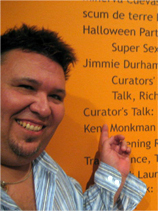 In 2005, he co-founded the Aboriginal Curatorial Collective, an arts organization committed to improving the curatorial and critical opportunities for Aboriginal curators. Barry is its current Director. Daniel David Moses is a poet and playwright from Ohsweken, Ontario. He holds an Honours BA from York University and an MFA in Creative Writing from the University of British Columbia. He is an Assistant Professor and Queen’s National Scholar in the Department of Drama at Queen’s University in Kingston. His plays, including Coyote City, Almighty Voice and His Wife, and The Indian Medicine Shows, have been honoured with awards and nominations. He is co-editor of An Anthology of Canadian Native Literature in English published by Oxford University Press. Daniel is currently Playwright in Residence at the National Arts Centre. 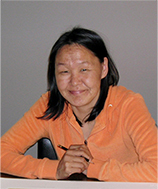 Annie Pootoogook is a graphic artist from Cape Dorset on Baffin Island. She began drawing in 1997 and quickly developed a preference for drawing scenes from her own life. Her first print was released in 2003. Annie is the daughter of Napachie and Eegyvudluk Pootoogook, and the granddaughter of renowned artist Pitseolak Ashoona. Her artwork challenges conventional expectations of “Inuit” art as her images reflect her experiences as a female artist living and working in contemporary Canada. Like her grandmother before her, Annie is an instinctive chronicler of her times. In 2006 she received the prestigious Sobey Art Award and was selected as a feature artist for the 2007 Montreal Biennale. 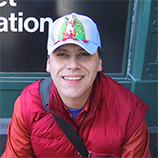 Ryan Rice is an artist, curator, and critic from Kahnawake, Quebec. He studied at Concordia University in Montreal and at the Institute of American Indian Arts in Santa Fe, New Mexico. He received a Master of Arts degree in Curatorial Studies from the Center for Curatorial Studies at Bard College, New York. His work has been exhibited in Canada, the US, and Europe. He has worked as the Curatorial Assistant and Chief Curator at the Indian Art Centre, Indian and Northern Affairs Canada. His articles have been published in Spirit Magazine, Canadian Art, CV Photo, and MUSE. He was curatorial resident at the Carleton University Art Gallery and, along with Diana Nemiroff, is co-curator of the exhibition ANTHEM: Perspectives on Home and Native Land. Ryan is a co-founder of the Aboriginal Curatorial Collective. Elisapie Isaac is a singer, songwriter, journalist, and filmmaker from Salluit, Nunavik, northern Quebec. She became involved in broadcasting and communications as a teenager and went on to study communications at John Abbott College in Montreal. Her participation, as host and journalist, in the documentary film Peoples of the Circumpolar inspired her to share her culture through the arts. Elisapie received a First Nations Filmmaker Award from the National Film Board, which allowed her to direct Sila piqujipat (If The Weather Permits), released in 2003. 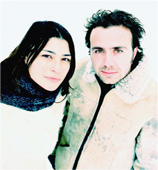 She and Alain Auger formed the duo Taima after meeting in 2000, and released their first, self-titled, album in 2004. It was an immediate success, receiving awards for Best Folk Album and Best Album Design at the Canadian Aboriginal Music Awards as well as the Juno award for Aboriginal Recording of the Year. The duo has performed in Canada, the US, and Europe. “Taima” is an Inuktitut expression, which means “Enough! It’s over. Let’s move on…” It represents the idea of renewed and better relationships between Inuit and non-Inuit people; Taima is not a rejection of the past, it is a vision of a better tomorrow, a bridge, a dialogue. Alain Auger is a musician and composer from Rouyn-Noranda in Quebec and studied jazz guitar and percussion in Montreal. As a musician, he performed extensively with various bands in different genres and became fascinated with the relationship between image and music in film, eventually establishing his own recording studio. Alain has composed about a dozen film scores as well as theme music for advertising campaigns and television, radio, and theatre productions. In 2001, after his return from a three-month humanitarian mission in Senegal, he and Elisapie Isaac formed Taima. 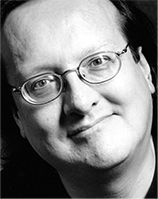 Ernest Webb is a broadcaster and film and television producer from Chisasibi, Quebec, and president of Rezolution Pictures International, based in Outremont, Quebec. In the early 80s, he joined the fledgling Cree Radio Network started by the James Bay Cree Communications Society in Mistissini and later moved to Montreal to join CBC North as an announcer/producer. Along with William Nicholls and Catherine Bainbridge, he founded Beesum Communications, publisher of The Nation, an award-winning news and cultural magazine, serving the James Bay Cree communities in Quebec and Ontario. Ernest produced and co-wrote One More River, a two-part documentary special about the controversial Cree decision to allow more dams on their land. This film won the Best Documentary at the Rendez-vous du cinéma québécois. He also worked on Heavy Metal: A Mining Disaster in Northern Quebec, about the fate of the Ouje-Bougoumou Cree who recently discovered that their land and water have been contaminated by toxic mining waste. The film won the Rigoberta Menchu award at the First Peoples Festival in 2005 as well as the peoples’ vote at the Riddu Riddu Festival in Norway. 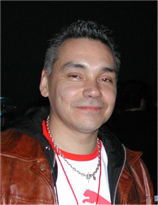 Ernest has produced and written for APTN and is Executive Producer of the comedy series Moose TV.